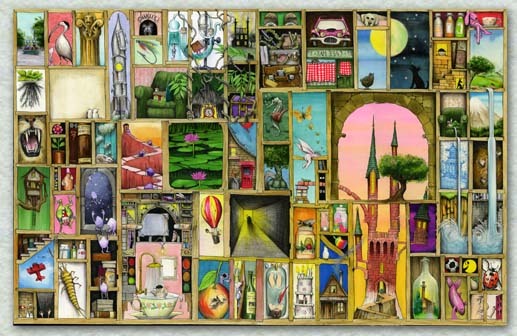 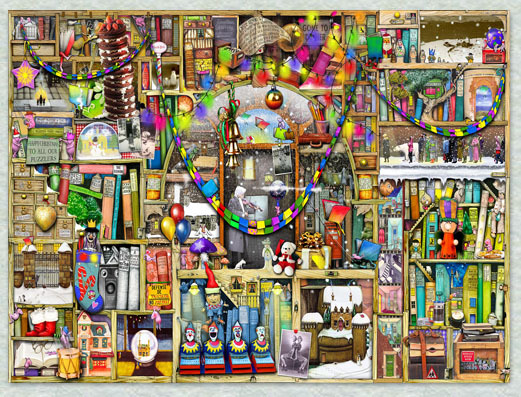 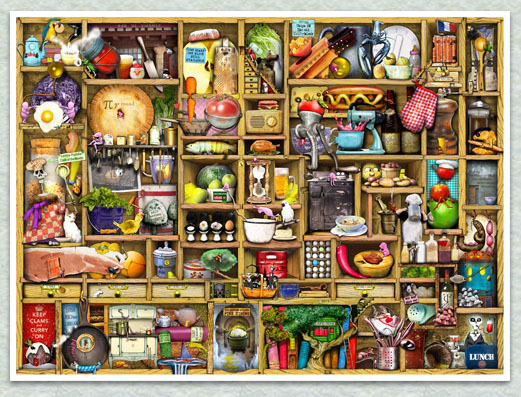 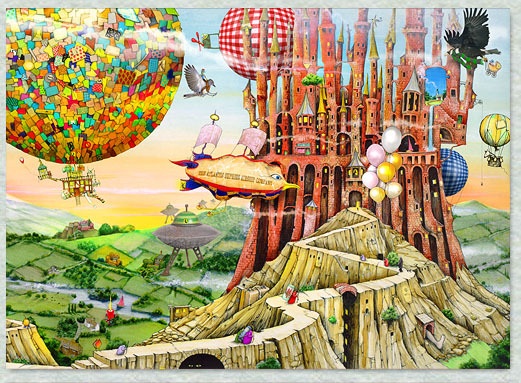 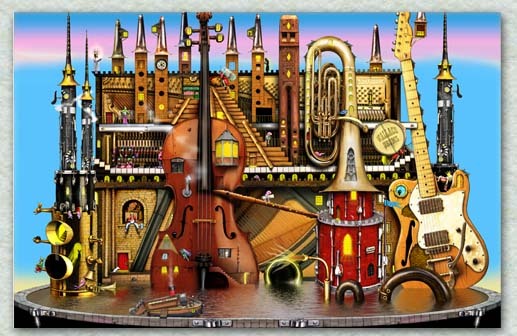 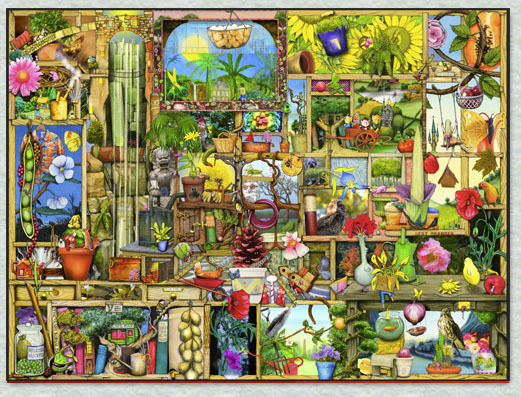 I am now making Jigsaw Puzzles - mostly for a company called Ravensburger who make the best quality puzzles you can get. 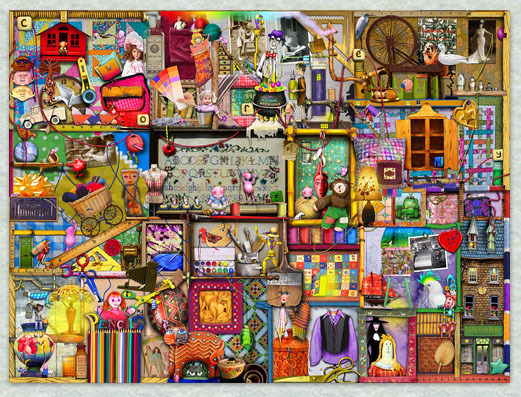 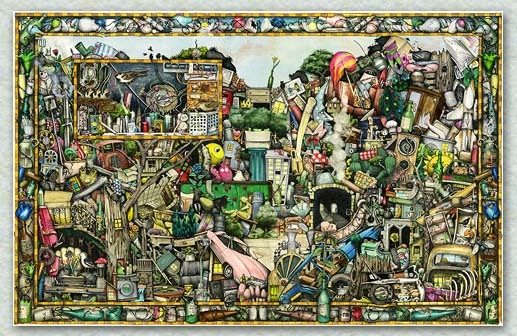 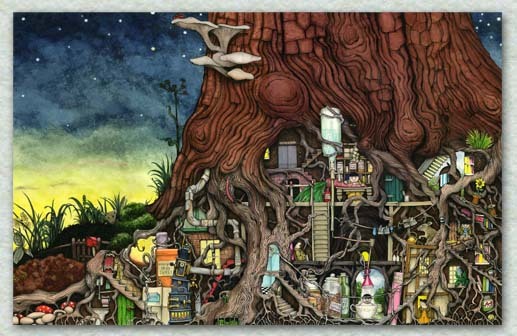 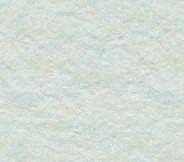 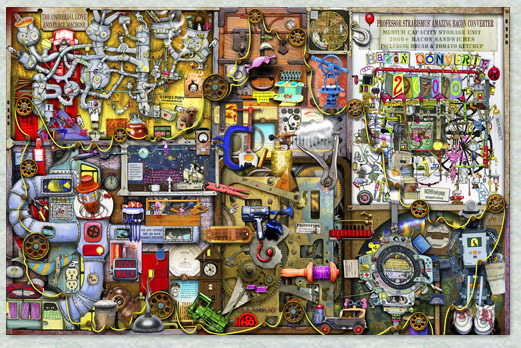 Most of my puzzles are 1000 pieces, though I have made a 5000 piece one which I think is out now or will be very soon. 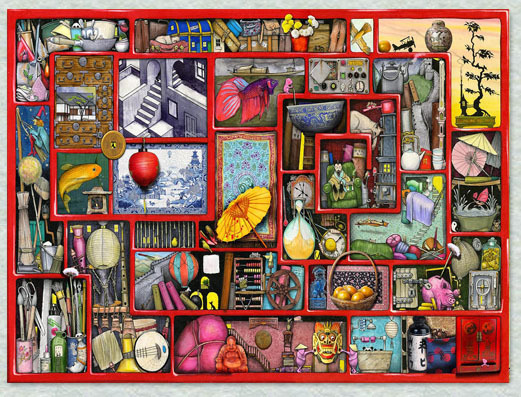 AND I've also made a HUGE 18,000 piece one which will keep you busy for a VERY LONG time! 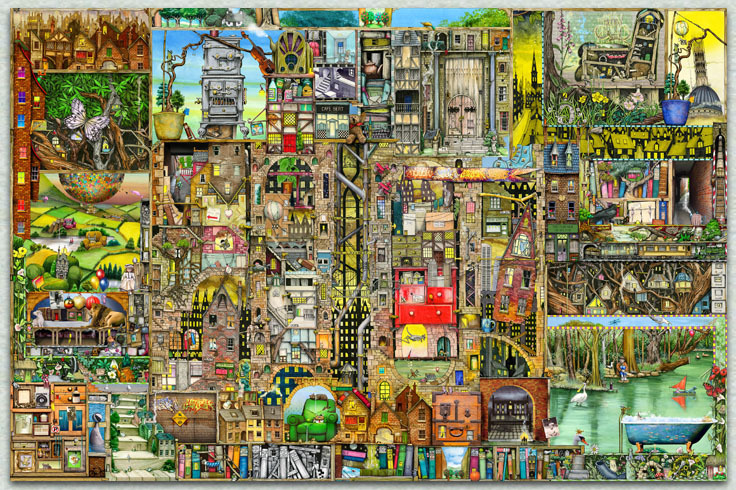 And here are some pictures that I've drawn just for jigsaws, though I'm hoping that when I've done enough of them, we might be able to make them into a book too. 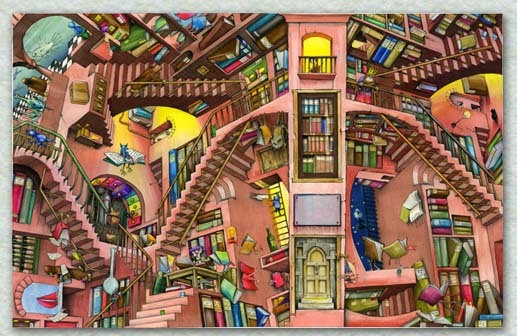 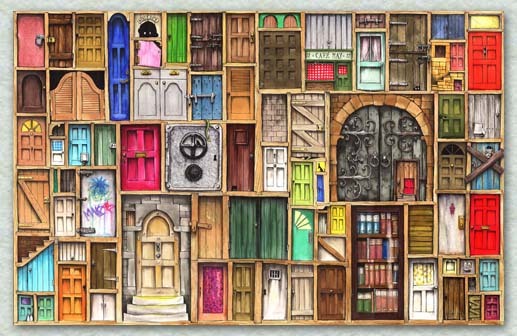 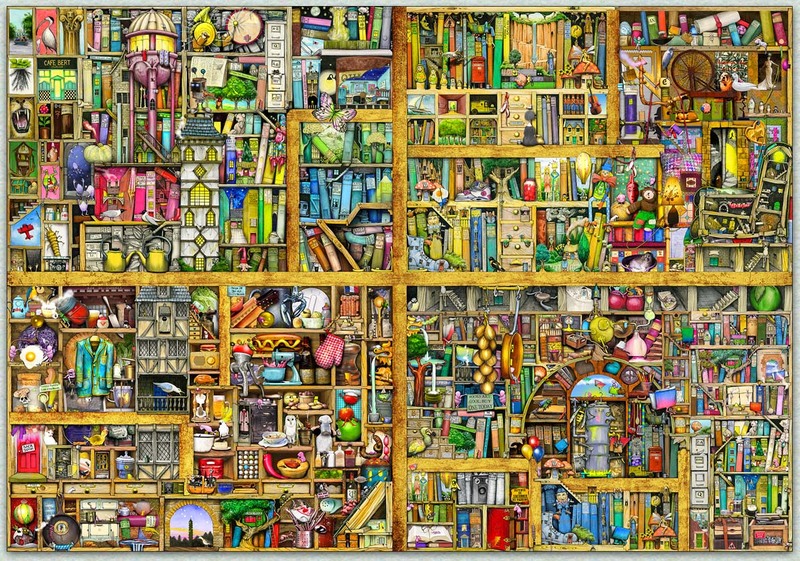 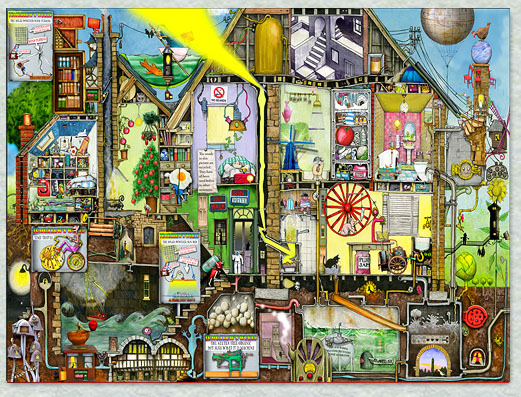 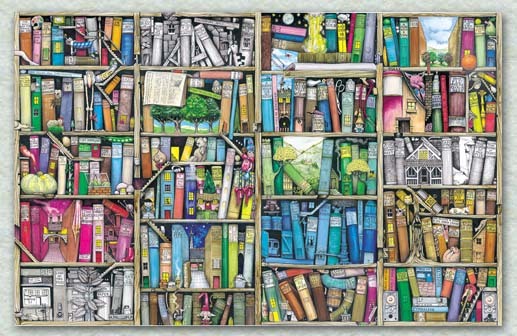 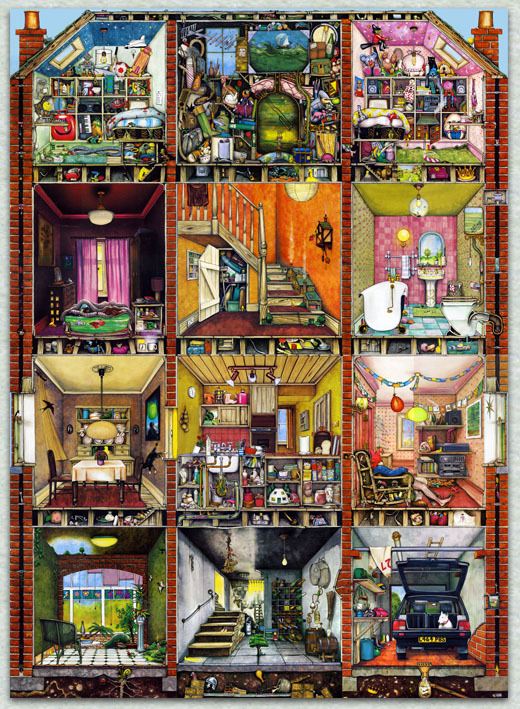 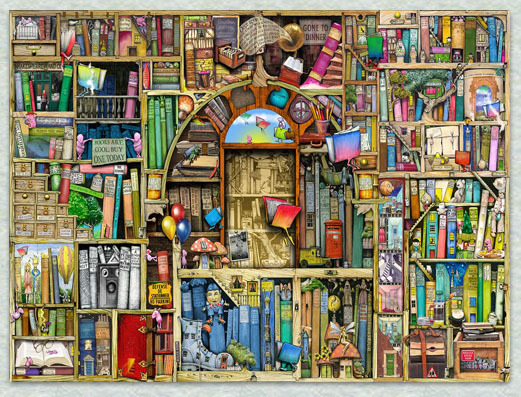 And talking of books, Ravensburger are going to publish a colouring book call - Colin Thompson's Complicated Colouring Book - more information about that soon.